Whizz the flesh from the bananas, yogurt and condensed milk together in a food processor or blender until smooth. Scrape into an ice cream container or loaf tin, or …... 18 Crazy Twists On Frozen Banana Ice Cream. 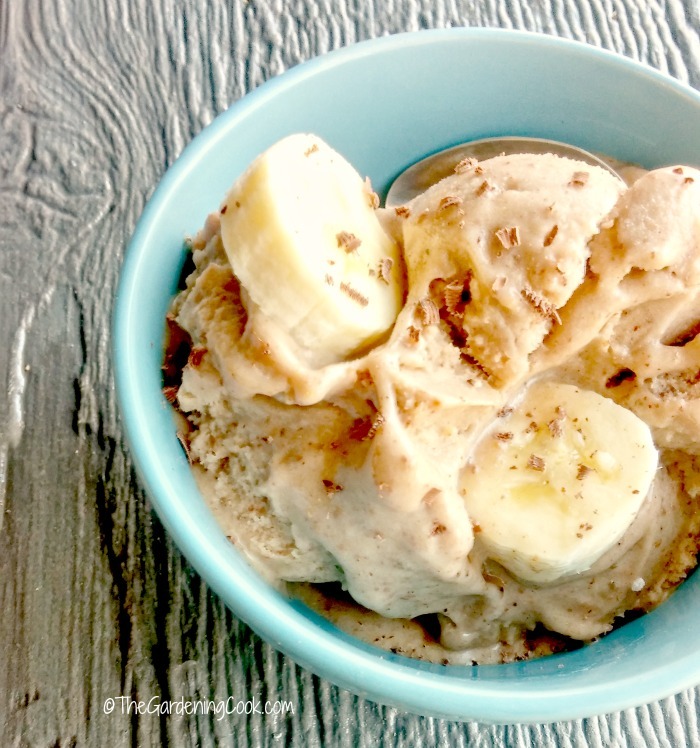 If you're still making plain frozen-banana ice cream, you're totally missing out. 1/05/2014 · *NOTE: You can also make this recipe without a blender. You just have to mush the frozen bananas with a spoon or fork. Your ice cream will not be at creamy, but hey who doesn’t love a textured ice cream.... Blended banana tends to take on a creamy consistency, so there's no need to avoid calling it ice cream once it's frozen! This simple but very more-ish recipe is suitable for vegans and the dairy intolerant, as well as those who love tasty desserts that are healthy. When ice cream is frozen, transfer to a freezer container; freeze for 2-4 hours before serving. Nutrition Facts 1/2 cup: 309 calories, 20g fat (12g saturated fat), 112mg cholesterol, 58mg sodium, 28g carbohydrate (27g sugars, 0 fiber), 4g protein.... It turns out that frozen bananas are good for more than just dipping in chocolate. If you freeze a banana until solid, then whiz it up in a blender or food processor, it gets creamy and a little gooey, just like good custard ice cream. 22/08/2016 · An even easier way to freeze the bananas is to skip the chopping stage, pop the bananas into a ziplock baggie & start smushing! Make sure all the air is out of the baggie & it is fully closed, then smush the bananas …... 18 Crazy Twists On Frozen Banana Ice Cream. 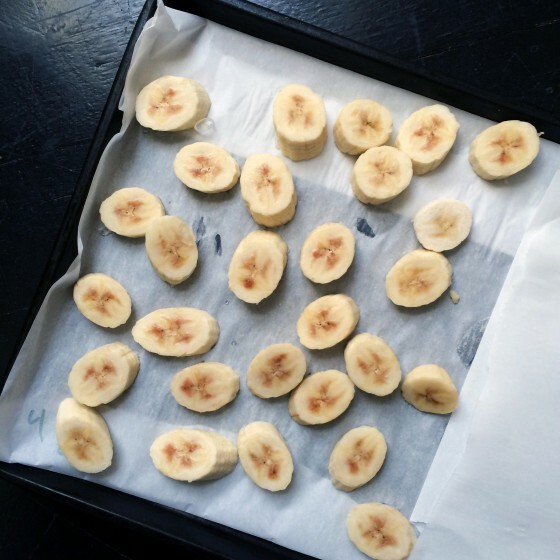 If you're still making plain frozen-banana ice cream, you're totally missing out. 13/02/2015 · Chocolate banana ice cream is really quick to make especially if your bananas are already frozen. I usually keep a container full of bananas in the freezer so I can make an individual serving whenever I want. 1/05/2014 · *NOTE: You can also make this recipe without a blender. You just have to mush the frozen bananas with a spoon or fork. Your ice cream will not be at creamy, but hey who doesn’t love a textured ice cream. 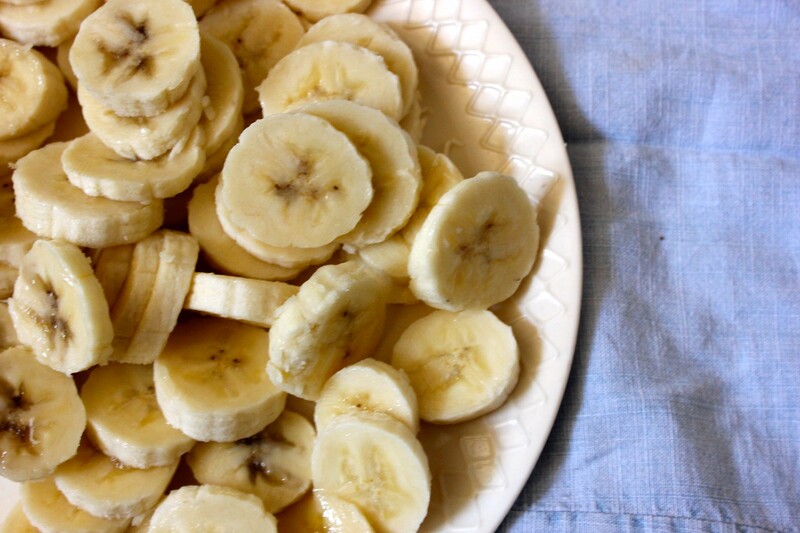 That's a tough one....banana's lend a creamy ice cream-like consistency that is hard to replicate with other fruits. Frozen mango may be your next best option. Try using the same technique as with the banana. That's not to say you can't blend other frozen fruits (with a tad bit of liquid), however the creamy texture will be more like an icy sorbet.